The Simms House, 40153 Janney Street, was the last house in Waterford that needed restoration. Because Loudoun County works at protecting its historical structures through its Historic District Review Committee, it had been hoped that the Simms House would be saved. Unfortunately, it wasn't! The tens of thousands of students who have participated in the program since the mid-1980s have been able to look from the school yard up to the Simms House. They can see that it is, architecturally, a relatively small and simple house built for people of modest means, thereby further instilling their lessons learned about Waterford’s African-American community. As such, the Simms House is a key part of the social, economic, racial, and architectural history not only of village of Waterford, but also of Virginia and the nation. November 10 — Board of Supervisors voted to uphold the June 14 vote of the Historic District Advisory Committee that approved the certificate of appropriateness for Waterford property owner Milari Madison's home that excluded a west wing sought by the owner. July 14 — Madison files a Loudoun Circuit Court lawsuit challenging the HDRC's rules and procedures as unconstitutional. The lawsuit seeks a ruling from a judge before any action has been taken to clarify the rights of all parties and is an opinion on a contested question of law. In an e-mail to the Board of Supervisors and county staff July 3, Madison said the "HDRC has no authority to divest me of my rights, and has such vague and ambiguous rules and procedures that an unconstitutional determination will be sought before the Court. June 14 — Loudoun County Historic District Review Committee has given final approval to the construction of a new house with the condition that the west wing be removed from the plan. The vote on the application was originally taken last month, but raised the ire of residents and some committee members because they believed public notice had not properly been given that the matter would be taken up, and that a condition of approval that would have required a reduction of the size of the house was left out. An amended motion including that provision limiting the project's massing was adopted in a 5-1 vote. While massing was agreed as a major concern with Madison's application, simply forgoing the west wing, some committee members said, would not address the issue, and the main house should be reduced as well. Others noted that if the west wing were removed, the owners could file a subsequent application for an addition, which the committee would be hard pressed to deny. The Madison's petition to rid of the historic designation that gives the county the authority to keep her from building her house. Madison petitions the National Park Service and the Virginia Historic Resources Board to delist Waterford as an historic district. 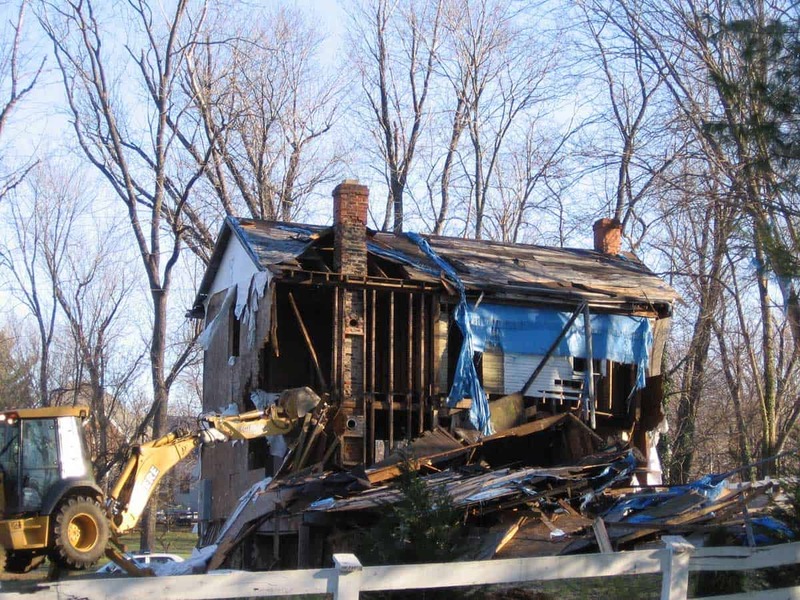 December 6 - Simms House demolished. Read the full overview. January 24 - Judge Thomas D. Horne heard brief presentations yesterday regarding two of the multiple lawsuits in the Loudoun Circuit Court regarding Paul and Milari Madison’s home in Waterford, commonly known as the Simms House. December 15 - Board of Zoning Appeals (BZA) voted 4 to 1 to deny the Simms House owners' appeal to demolish the house based on their attempt to sell the structure only as a bona fide offer. The BZA concurred with the Zoning Administrator's finding that in a Historic District, an owner must offer both the structure and "the land pertaining to" for sale to qualify as a bona fide offer under section 6-1907 of the zoning ordinances. November - The Simms House may stand for at least a bit longer, but its long-term fate lies in the hands of a sharply divided board of supervisors. Several people testified that the owners have not only ignored consultants who said the home could be saved, but have actively assisted in its deterioration. September - The owners appeal the HDRC August decision denying their demolition application. The owners claim the house should be demolished because it was economically infeasible for them to sell the property or fix it up and that the structure is not historically significant. September - The owners file suit naming the Department of Historic Resources (DHR). They state that the DHR was not allowed to designate an entire district with either a National or Landmark status. The owners claim this then invalidates the local historic district designation of Waterford. The owners are siting the case of Worley vs Washington. The county is asking this to be dismissed. September - The owners put the Simms House for sale, separate from the lot. They are in receipt of a letter from the Zoning Administrator stating that this does not meet the requirements in the ordinance for trying to sell the property in order to demolish if it is not sold. September 16 - The owners try to submit another certificate of appropriateness for a new house, in anticipation of their planned demolition related to the item above. The county does not accept the application since the structure is currently on the property and the owners have several outstanding applications related to the current condition of the house. August 15 - Planning Staff requests determination from the Zoning Administrator as to whether the owners' offer to sell only the structure meets the intent of Section 6-1907 of the Zoning Ordinance. August 10 - owners submit offer to sell the house at 40153 Janney Street without the underlying land to the Department of Planning. The offer is forwarded to the HDRC. August 1 - After a three hour meeting, the HDRC unanimously voted to deny the demolition petition on both accounts. The committee determined that it is economically feasible to sell the home since there was proof of two recent bona fide offers on file. In addition, they stated that the Simms house does have historical significance and that its demolition would substantially impair the historic district as a whole. The applicant appealed the HDRC decision. July 1- The owners of the Simms House turn in a new application to demolish the Simms House. The owners state that under section 6-1907 D 1 & 2 they should be able to demolish the house immediately. The two main reasons they list are: 1) the demolition of the Simms House would not undermine the historic district because the house has no historical significance, and 2) it is economically infeasible for the owners to put the house up for sale or to restore the house. June 9 - owners withdraw petition via e-mail to staff. May 9 - owners submit petition to demolish 40153 Janney Street under Section 6-1907 (D 1) of the 1993 Revised Loudoun County Zoning Ordinance stating that the forced sale of the structure [40153 Janney Street] would be economically infeasible in relation to its effect on the remaining property, but also due to the fact that the loss of the house would have no historical or cultural impact on the historic district. July 12 - At the HDRC meeting a motion is passed to deny the plans as submitted due to errors, inconsistencies, and deficiencies in plans. In addition, plans still did not comply with instructions set out at March 1, April 5, and June 7th meetings and related motions. Twenty community members present at meeting. owners not in attendance. June 28 - owners submit additional package to BOS members regarding former demolition in Waterford as well as examples of what they consider to be different standards for other applicants. 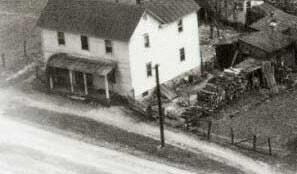 June 16 - Loudoun County building inspector sends letter to owner stating Simms house is safe. Owners appeal determination by the inspector to the Building Code and Appeals Board. June 7 - At the HDRC meeting a motion is passed to defer the March 1, 2004, plans as submitted due to errors, inconsistencies, and deficiencies in plans. In addition, plans still did not comply with instructions set out at March 1 meeting and related action motion. Eighteen community members present at meeting. owners not in attendance. June 4 - At the owners' request, Steve Rogers, state certified building inspector, goes to Simms property to inspect with the owner present. Inspector determines property is safe according to state code. Early June - Realty company takes down "for sale" sign. May 19 - Letter goes from Planning Department Program Manager, to the owners stating that at the direction of the County Attorney they are being advised that "the relief you seek, approval of the addition considered by the HDRC at the March 1, 2004 meeting, is not available through this appeal. The HDRC did not deny the design considered at the March meeting but rather deferred the applicant, with additional direction, to the April meeting. As such, there is technically no final HDRC decision from which to appeal." May 10 - owners request a second demolition permit in zoning department. May 4 - owners submit appeal to 80S for denial in April. They state it is the March 1 plan that they are appealing to be able to build. The March drawings for which the owners seek approval have a date of February 24 on the cover "plat." The architectural plans are dated February 17. April 5 - During the HDRC meeting, owner states that if they found a buyer they would not tear it down. At public comment, Jamie Hutton offers to purchase the Simms House from the owners for 10% over purchase price. owners refuse offer. April 5 - At the HDRC meeting, the owners turn in two different sets of plans. One revised option has total square footage of about 3,342 with total percentage increase in square footage at 148%. The original Simms House ell is still completely engulfed by the addition and thus is not discernible. The second set of plans is completely new and includes a breezeway attached to an extremely large addition towards the back of the house. The original Simms House is 1,344 square feet and with the proposed addition would increase to 4,085 total sq ft. This represents a 304% increase to the historical structure. Both house options A and B were denied by the HDRC because the size, scale, massing, and subordination issues were not sufficiently addressed in the revised plans as directed by the HDRC at the March 1 meeting. At this HDRC meeting 23 community members are present. A representative of the Waterford Foundation and local historian speak out against proposed addition because massing, size, and scale have still not been addressed. March 1 - At the HDRC meeting, owners submit plans for an addition that is even bigger than the plans that were denied on September 8, 2003, due to massing, size, and scale. The original Simms House square footage is 1,344 and with the proposed addition will increase 216% to 3,782 total square feet. The revised design completely engulfs the Simms house, wrapping around the existing structure on 3 sides. There were several errors on the plans and with the design as submitted. The committee members suggested the owners speak with a professional architect experienced in working in a Historic District to get some ideas on how to meet their needs but still follow the guidelines. The owners are instructed that the South elevation has serious design issues. During this meeting, the owners are asked by an HDRC member, if they were willing to go below that size. Owners reply that given their lifestyle they are not able to eliminate any square footage. The owners currently live in a 4,093 square foot house on 10.91 acres about 1.5 miles down road on Waterford Way. Their current house is within the Waterford Elementary School District. At the HDRC meeting a motion is passed to defer the owners' application since it does not meet the Guidelines in size, scale and massing. This is particularly evident from the south elevation as viewed from Second and Factory Streets. In order to be in compliance with the Guidelines the addition should be subordinate to the existing structure. A reduction in the size of the addition should also occur so that the original Simms House is discernable from Factory and Second Streets. The owners stated during the meeting that if they did not get approval for the plans as submitted or a house as large, they would pursue their plans to demolish the Simms House. Testimony against the addition was given by concerned citizens, Brown Morton (co-author of The Secretary of the Interior's Standards for Rehabilitation of Historic Properties), the Waterford Citizen's Association, and the Waterford Foundation. Twenty-three community members were present. Early Spring - Local couple verbally offer Simms House realtor what the owners have invested in the house. owners refuse offer. February 2 - owners withdraw January plans and related application at 4:30 pm on night of HDRC meeting. July 28 - Board of Building Code Appeals (BBCA) rules that the Simms House is a safe structure according to Loudoun County rules and cannot be demolished as an unsafe structure. September - Zoning Administrator sites owners for a "failure to maintain the house in good repair and reasonably protected against decay and deterioration" under Section 6-1906A of the county zoning ordinance. October 25 - County files temporary injunction on owners to protect the house from decay and deterioration. A hearing is held in Circuit Court and both sides are told to return with cost estimates to protect the house. December 23 - owners submit appeal of BZA decision to circuit court, seeking demolition of Simms House. The owners feel the county is infringing on their constitutional right to develop their property the way they see fit. December 10 - owners receive written signed contract for purchase of Simms House for $265K ($80K above their purchase price). Owners counter with $292,500. Offer expires. December 2 - Over 40 village residents show their support at the Board of Supervisors hearing to uphold the HDRC September 8 determination. Testimony against the addition was given by concerned citizens, the National Trust for Historic Preservation, local historians, the Waterford Citizens’ Association, and the Waterford Foundation. The BOS upholds the HDRC September 8 decision to deny the proposed addition. November 20 - Over 55 village residents show their support for the preservation of the Simms House at the Board of Zoning Appeals (BZA) hearing. Testimony against the demolition was given by concerned citizens; the National Trust for Historic Preservation; Professor Brown Morton, the co-author of The Secretary of the Interior's Standards for Rehabilitation; local historians; the Waterford Citizen's Association; and the Waterford Foundation. Zoning Administrator Artman's letter and related denial was upheld by the BZA. October 7 - owners submit an appeal to the BOS regarding the Historic District Review Committee denial of their application for a Certificate of Appropriateness. October 1 - 2 - owners submit an appeal to the BZA regarding the demolition perm cancellation and related Zoning Administrator Artman's letter dated 9 -25-03. September 14 - Jim Gosses, real estate agent, puts a "For Sale" sign in front of the Simms house. List price is $395,000. September 12 - the owner starts a large trash fire (consisting of large branches, sheets of plywood, and other miscellaneous materials from the property) approximately 20 feet from the house at 8:00 am. the owner had informed the fire department of her plan to burn that morning. However, due to the proximity of the fire to the Simms How and the flames in excess of two stories high, the Fire Marshal was called to the scene, The Fire Marshal determines the fire is not in compliance with fire code regulation because it is within the required 50 foot setback from a structure. Marshal instructs the owner to extinguish the fire which she does. September 8 - At the HDRC 6:00 pm meeting a motion is passed to deny owners' application for Certificate of Appropriateness due to the inappropriate size, scale, and massing of the addition. Concerned citizens, as well a representative of the Waterford Foundation, testify against the proposed addition due to the inappropriate nature of the plans and the noncompliance with the Historic District Guidelines. Approximately 1 members of the community are present. When asked by HDRC member Leah Thayer, .. "your plan right now just so I .. .is to preserve the existing house ... ". The owner answered "That is what we hope to do." Throughout the meeting the owners indicated their intention was to preserve the existing house. At no time did the owners mention that they had applied for a demolition permit for the Simms House earlier that day. About September 10-11 - According to documents distributed by the Board of Zoning Appeals a' 2003 the November 20, hearing a site visit is conducted under the authorization of the Loudoun County building official. Property is determined to be safe. Application for demolition permit is denied and marked "cancelled", when zoning staff realize property is in a Historic District and does not fall under other zoning regulations since the property has been inspected and deemed safe. September 8 - owners submit an application for demolition for the Simms House. They submit a "straight" application (i.e. as if house was in a regular neighborhood, not in a Historic District). September 2 - A petition was sent to the HDRC and zoning staff with 86 signatures from Waterford village residents protesting the addition based on specific Historic District guidelines. Early September - Advised by county employees as a necessity prior to demolition, the owners order that the electric lines be disconnected from Simms House. Once the county staff realized the Simms House was in a Historic District they put a stop to the demolition permit and stop advising on preparation of the property for demolition. August 4 - the owner goes to HDRC meeting to discuss plans "unofficially and off the record." Eleven village residents are present to hear discussion. Members of the HDRC spoke to the owner at length about issues with her proposed plans, emphasizing the importance of massing, size, and scale in relation to following the Historic District Guidelines. Design of roof lines was also discussed. July 23 - In response to the owner's statement of intent to demolish the Simms House, 24 village residents write a letter to the HDRC stating their concerns regarding the possible demolition and/ or inappropriate addition to the historic Simms House because it is a prime example of turn-of-the century vernacular rural African American home in the Historic District and a vital part of the Second Street school program. During July - the owner consults with three local architects, Kevin Ruedisueli, Allen Kitselmen, and Russell Versace. All three architects inform the owner that her proposed plan is not in compliance with the Historic District Guidelines. Mr. Kitselman provides the owner with his opinion in a letter stating the plan would need to change considerably to pass the HDRC and receive a certificate of appropriateness. July 16 - Lien on Simms House was paid in full. July 8 - The house is sold and the new owners (the Madisons) ask approval from the Historic District Review Committee (HDRC) to expand the house from 1,344 square feet to approximately 3,200. Email from HDRC staff liaison in the Loudoun County Planning Department, to owners stating that massing is an issue with proposed plans. About July 1 - Planning to purchase the Simms House, the owner calls adjacent home owner. The owner states she plans to demolish Simms House and would like to build a house similar to his (the neighbor's home is about 3,700 sq. ft). The owner asks the neighbor for the name of his architect and contractor. He replies that the owner will not be able to demolish the historic structure. He points out that there are Historic District Guidelines (HDG) that must be followed. 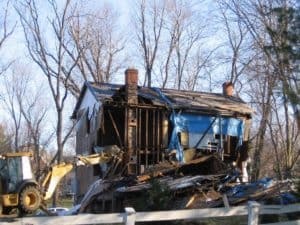 The owner responds that if she can't demolish the house, then she will build around the original Simms House in order to have a house of 3,700 square feet. Again the neighbor reiterates that this size house will not be likely to pass the HDRC due to noncompliance with the HDG. April 7 - At the HDRC meeting, the owners reaches an agreement with HDRC that he will replace the siding with custom milled "novelty" siding unless it is "cost prohibitive." November 9 - Lien was put on Simms house in the amount of 61K by an unpaid contractor hired by the owners to work on the Simms House. In the statement of work, instructions include taking off and disposing of all siding. First week of October - Work stops on Simms house. Late summer - Fall - Zoning inspector fined the owners and stated all work had to stop until the fine was paid and a remedy for destroying the siding was determined. Late summer - Verbal and written complaints were filed with the zoning department when 100-year-old siding was torn off and taken off the house and removed from the property in violation of the approved Certificate of Appropriateness. Early August - owners receive signed "Certificate of Appropriateness" to build their proposed addition after applying and attending one HDRC meeting. The addition would increase the size of the original Simms House by 52% for a total of 2040 square feet. July 19 - Waterford residents contact Virginia Simms and subsequently purchase the Simms House for $65K. One year was required to track down all of the potenial heirs to obtain a clear title. April 1 - The Simms House is put on the market for a short period of time. List price is $135,000. April 1 - An attempt to raze the house failed when a potential developer withdrew their application after a large contingency from the village of Waterford voiced their opposition. Loudoun County historic guidelines only allow the demolition of an historic building if it is structurally unsafe. The applicants withdraw their application for demolition after seeing the Village residents present. Second Street School program begins. During the next 20 years over 25,000 Loudoun County school children participate and learn about life in the 1800s in a segregated school in Loudoun County. Lizzie Simms, an African-American woman born in the Waterford area just after the Civil War, spent all her life in or near the village. Ms. Simms was a teaching assistant at the school. After her house was built in the early 20th century, just up the street from the school, it provided drinking water for the school. Simms family moves out of Simms House. Prior to its sale in 2000, Mrs. Virginia Simms (daughter in law of Lizzie Simms) and her late husband Charles kept the house and grounds maintained. The house was occupied during 1970-1980s by friends of the Simms. Lizzie Simms moves into house where she raises a son and several other children, and houses several boarders. She is listed in the 1920 and 1930 censuses as owning it, but not until 1939 is there a deed of sale for "$10" from the Corbins of various half shares. If she can't get the county to let her build a house on the property, Madison said, the next step is to get rid of the historic designation that gives the county the authority to hold her up. Her petition to the Virginia Department of Historic Resources claims, "The designation [Historic District] is used as a basis for limiting the Petitioner's property rights." The designation, she charged in the petition, is and always has been "faulty, unlawful, and obsolete ..."
"I have a feeling that [Madison] has a much larger agenda than building a house in the Waterford Historic District. Madison is waging her legal fight as a property rights activist."